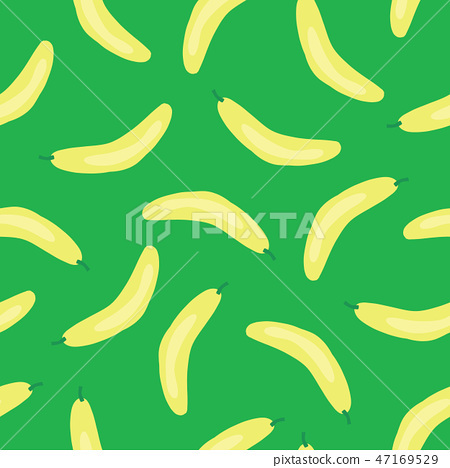 Bananas pattern. Vector seamless background with illustrated fruits isolated on green. Food illustration. Use for card, menu cover, web pages, page fill, packaging, farmers market, fabric.